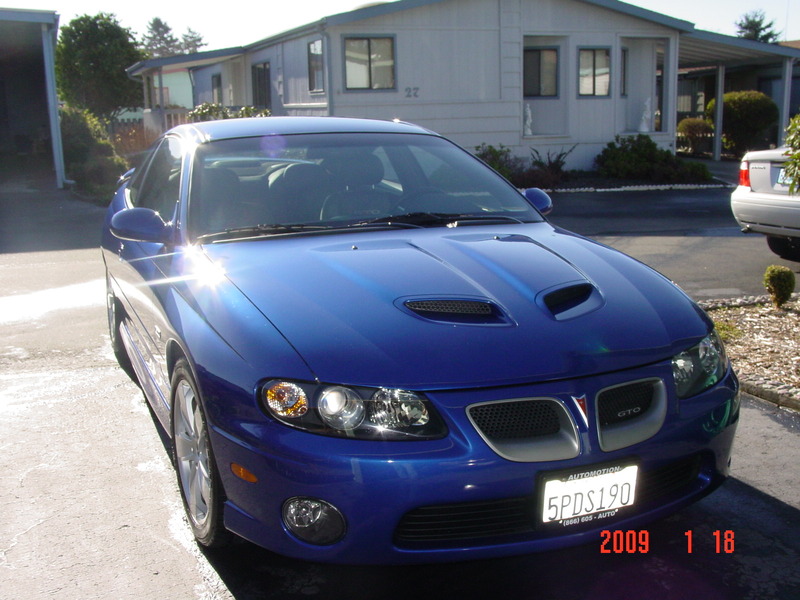 Hey guys, I am new to Forever Pontiac. 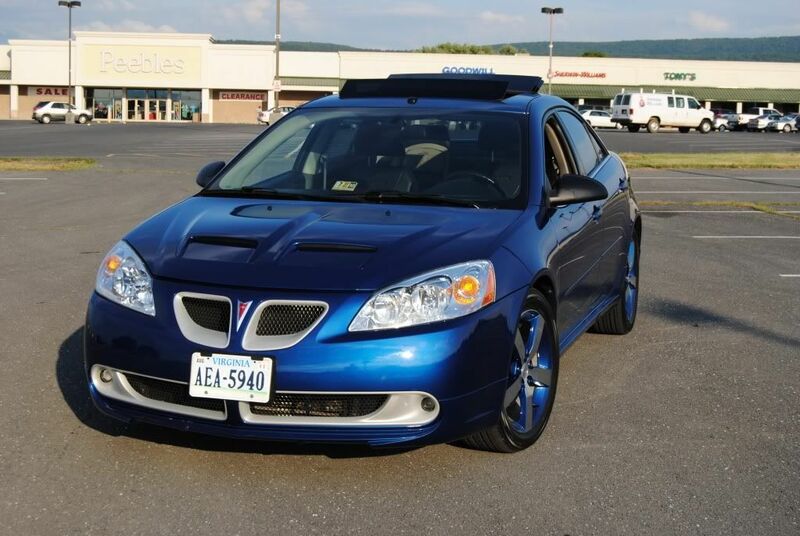 I own a 2006 G6 GTP and have been slowly modifying it over the last couple of years. My name is Ryan and I am in Virginia. Here are a couple of pics. Good to see you made it over here! I love your 6! Always wanted that blue. I dont care too much to reply to new people. But I love your car, NICE. Hmm... don't care for the gray around the grills. Stands out too much, like the painted face on a clown. Other than that, everything looks awesome though. The matching blue on the wheels is a nice touch. Anyway, welcome to the forums and hope you enjoy it here. I love the color matched rims! Hmmm...IMO, the grille inserts would looks x10000 better color matched, as with the mirrors too. The headlights: either black or paint matched, and tint the tails. 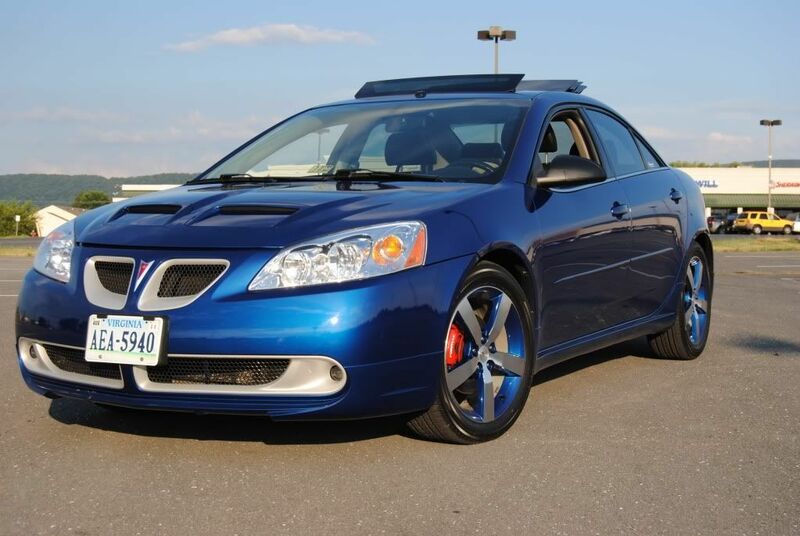 Add some Eibach springs, and KYB AGX struts, and the G6 will really look slick. hey welcome to FP! me likey. maybe jus cherry up the tails, and paint the calipers. Hey, I remember this car from when I was over there on G6P. Looking good, it's changed a lot since the last time I saw it. dont change anything but the ride height. I LOVE the grilles the way they are. remind me of SAP grilles on the GTO.... LOVE IT!!! but maybe the caliper color. how you gonna throw in a third color on to this blue and silver beauty? jus saying. I less than 3 ur ride! 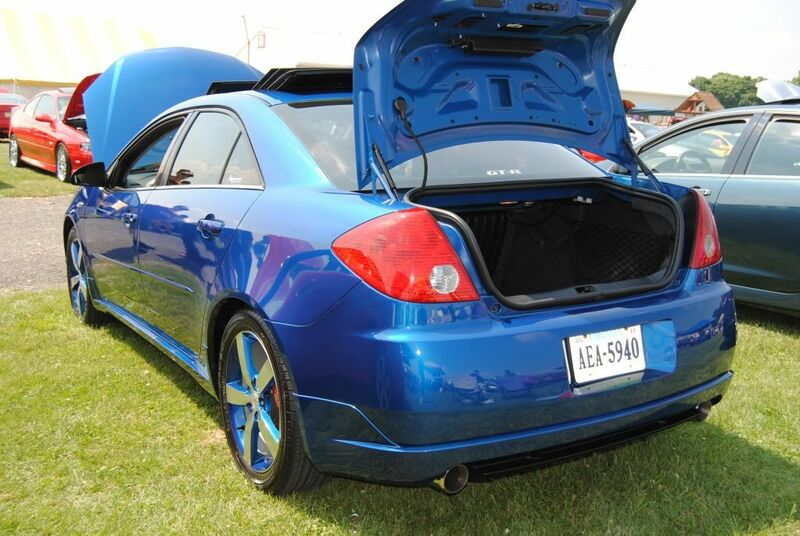 It looks great... the only minor changes I would do is the grill color... I would go with black or mate and the calipers also black. At the end of the day it's your ride though so what ever makes you happy. Glad to have you here! The red on the calipers is not an introduction of a 3rd color. 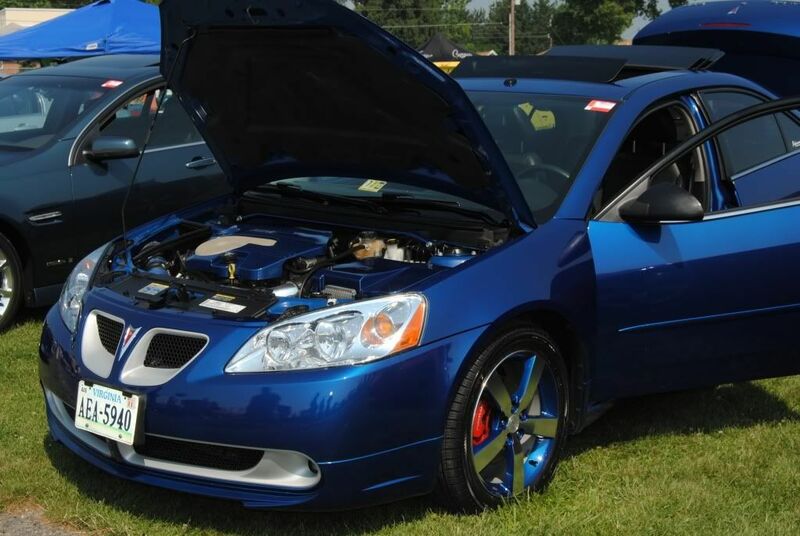 The Pontiac dart on the front and back of the car, plus the Pontiac dart in the center of each of the rims comes red from the factory, so the calipers would be additional red. Grill/caliper colors are not changing. The grills look more white in photos but they are actually satin silver and look great. The only people who ever suggest they look bad are people who have never seen the car in person. Thanks for the suggestions and thanks for the welcome to the site. Anytime after the weather warms up. I am about 2 1/2 hours from Richmond. Near Winchester, VA.
Nice looking car Ryan, love that color! stunning dude i love it you must deff turn a lot of heads. whats the name of the type of blue you used, cuz i haven't seen that ever. Dude hasn't been on here for a hot minute, but I swear I saw him in Winchester about two couple weeks ago, Woodstock is about 30 minutes away, had to be him, of course I was in my pretty car and saw his best looking G6 I've seen to date, impressive. nice to see a g6 being the subject of someone's labor of love. these cars deserve the attention, they're nice little buggers! gm always had nice colors, midnight blue metallic being one of my favorites.